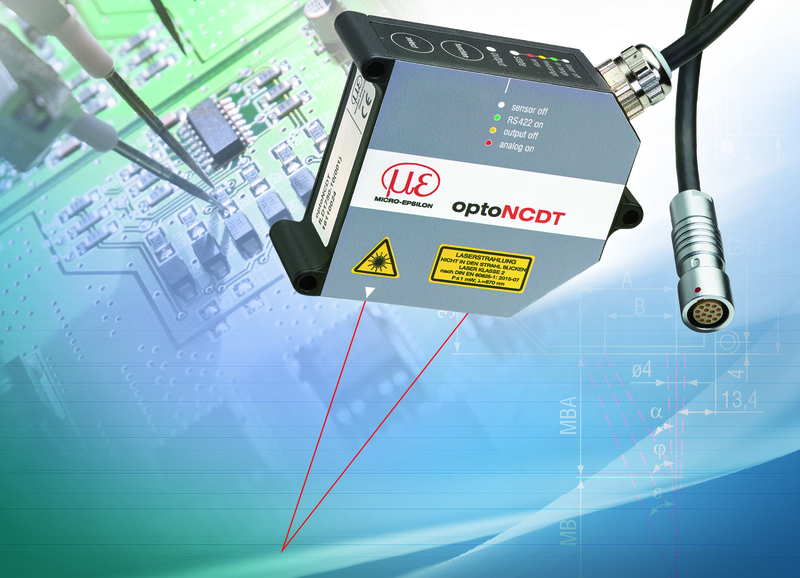 The product range of the new optoNCDT 1750 laser sensors from Micro-Epsilon has been extended with new measuring ranges of 500mm and 750mm. With these additional models, the laser sensor can now be applied in fast, high precision measurement tasks that require large measuring ranges. The new optoNCDT 1750-500 and 1750-750 laser sensors open up numerous other fields of applications optical displacement and distance measurements. Depending on the model, the measuring ranges now extend from 2mm to 750mm. This robust and powerful laser sensor is specially designed for industrial and automation applications, enabling measurements on difficult surfaces such as semi-transparent plastics and ceramics, PCB material, carbon and glass fiber-reinforced plastics. The sensor operates almost independent of the material and color. Its flexibility makes it suitable for real-time quality inspection tasks in almost any industry such as electronics production, automotive, packaging, machine building or automation technology. Very small objects can be detected due to the small light spot size. The combination of unique performance and a wide range of features result in a sensor that takes a leading role in its class. New evaluation algorithms and enhanced components provide extremely high accuracy and dynamics. Due to its extremely compact design, the sensor system can also be integrated in a confined installation space. Measured results can be obtained via analog or the digital RS422 interface. Furthermore, the sensor is equipped with two switching outputs and one input to control different functions. The innovative laser sensor offers a user-friendly web interface that enables the sensor to quickly adapt to the respective measurement task using predefined presets. Highly accurate results are generated without any further complex optimization. Up to eight user-specific sensor settings can be stored.